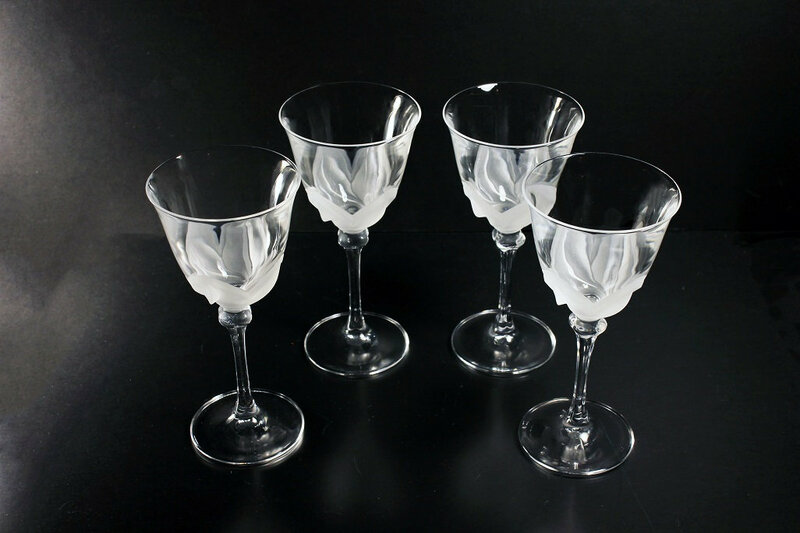 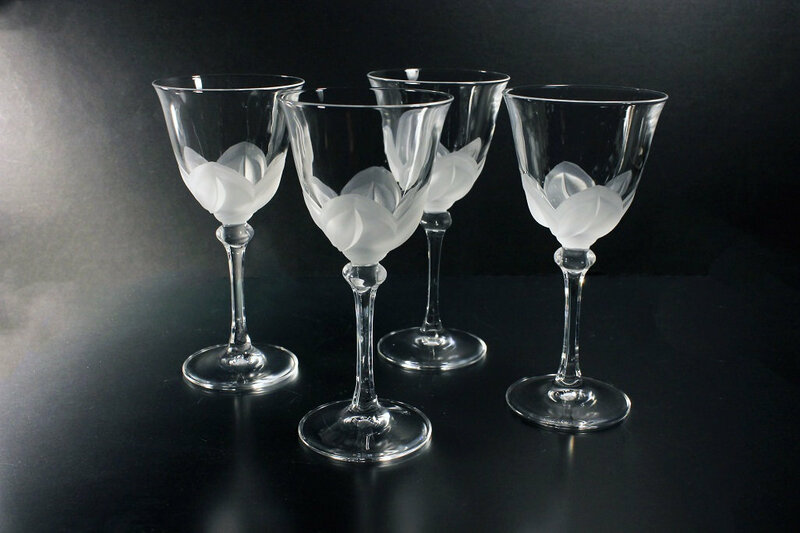 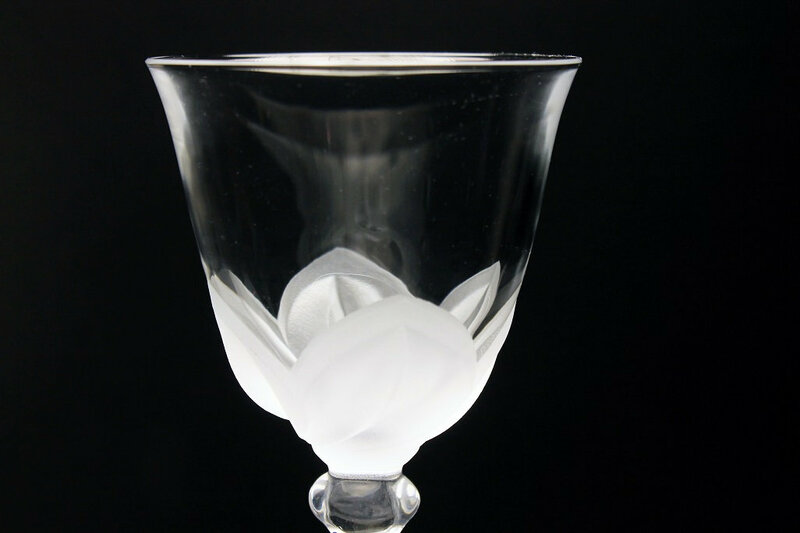 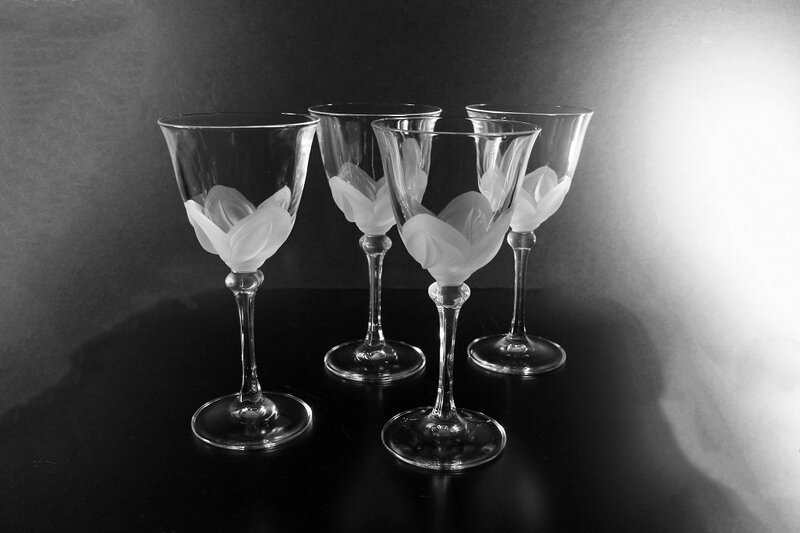 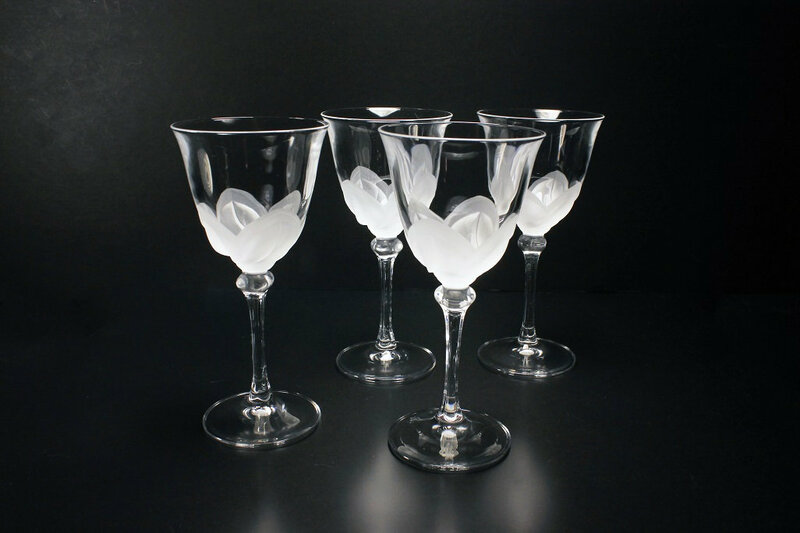 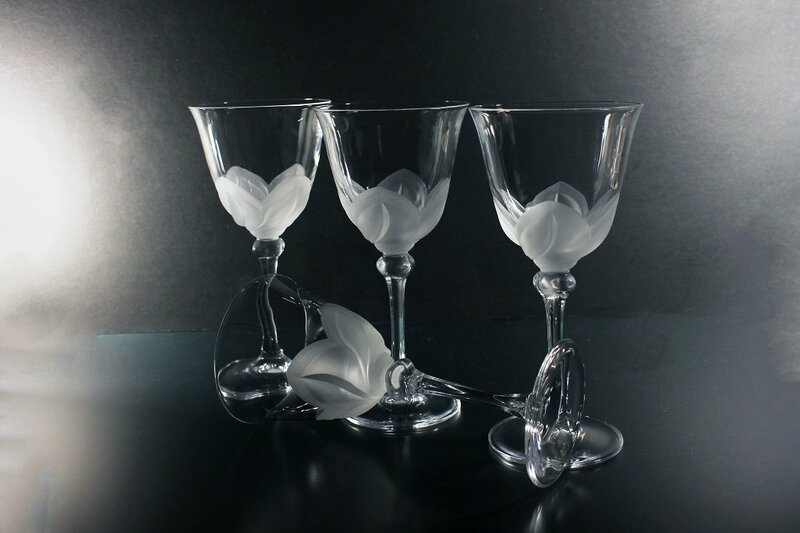 A gorgeous set of 4 crystal wine glasses by Cristal D'Arques-Durand. 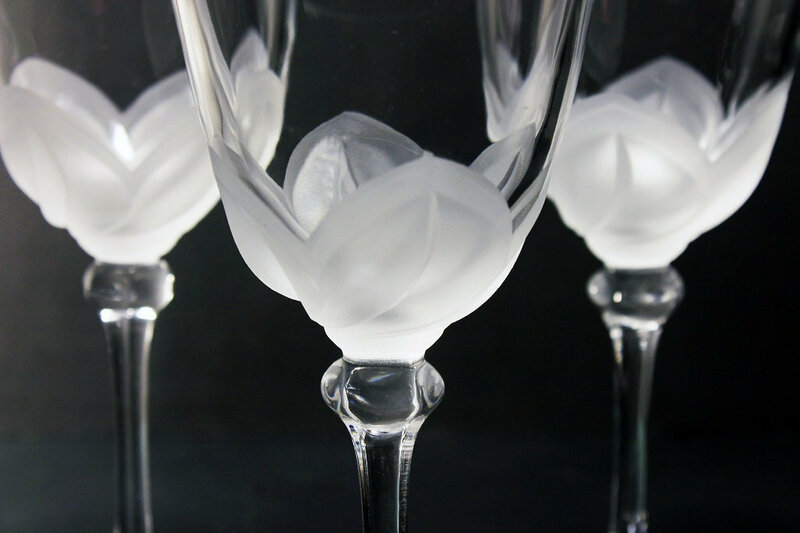 The pattern is called Florence and consists of frosted petals around the bottom of the bowl. 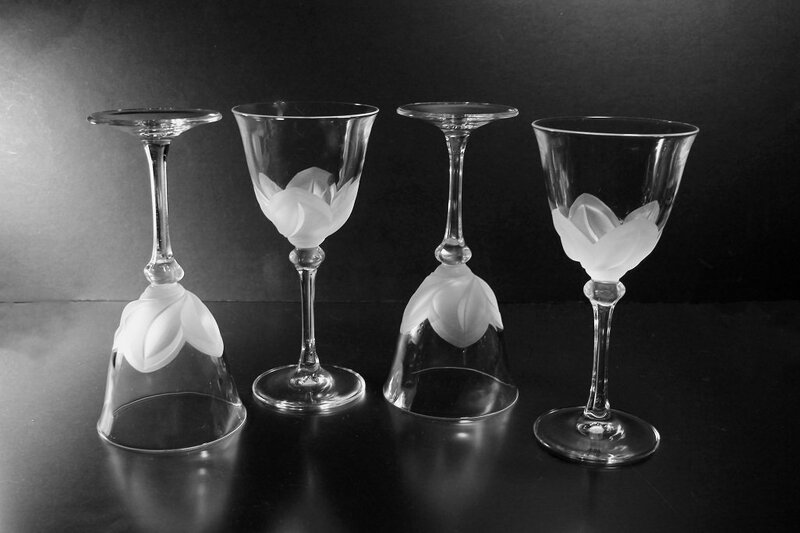 These glasses are discontinued. 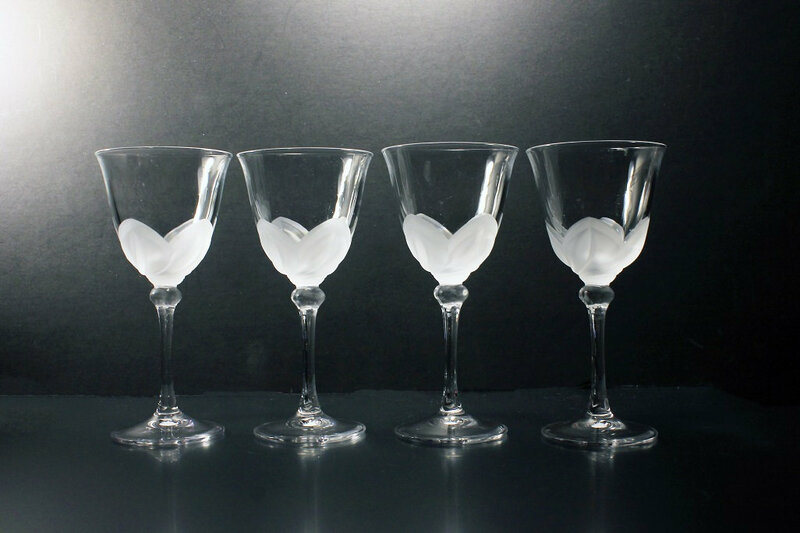 They are perfect for a wedding, home bar, or man cave. 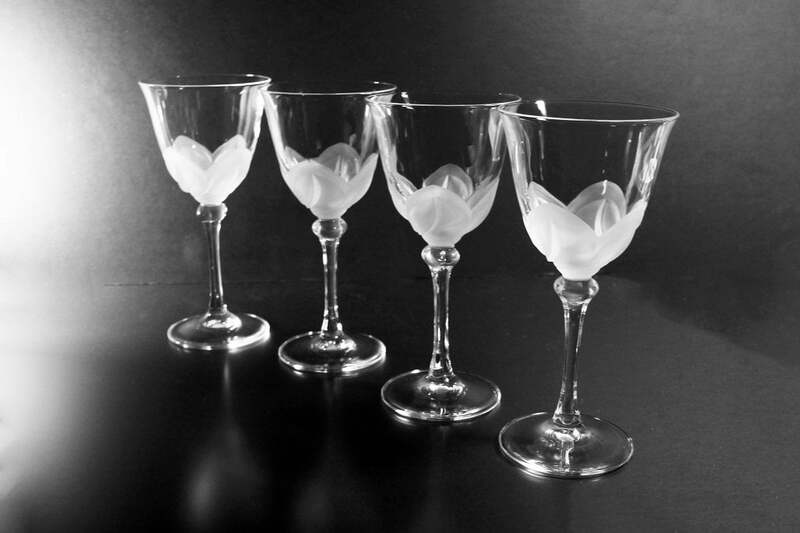 A wonderful set to add to your barware collection.